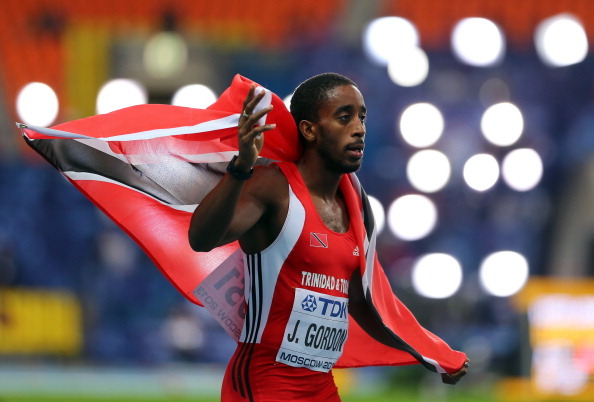 Trinidad and Tobago’s Jehue Gordon says winning the men’s 400m hurdles world title will “change his life”. Gordon made the comment after becoming his country’s second overall gold medal winner behind Ato Boldon (200m in 1997) at these Championships, reports CMC. “This victory will change my life, but won’t change me as a person,” he told reporters. He left it late, but held his nerves in the last 100 metres to catch and beat American Michael Tinsley on the line 47.69 to 47.70 in the 400m hurdles final. “To win the gold here was one of my goals and I’m just so happy I have achieved it,” said the 21-year-old, who ends his 2013 season in Brussels Sep 6. “My next goals are to become the Pan American champion and Olympic champion,” added Gordon, a final-year management student of the University of the West Indies, St Augustine. Gordon’s victory came in a national record time for Trinidad and Tobago. Tinsley’s time was also a personal best.